Strikeapose is a UK Beauty Blog written by me, Mary. 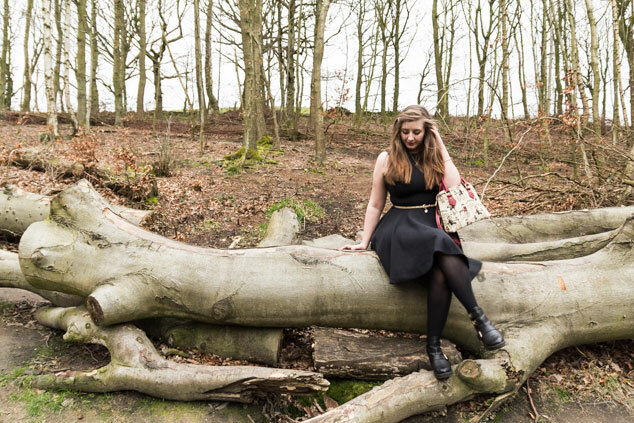 I’m a 23 years old fashion and beauty lover who lives in the Leeds area. I run my own Animation, Film and Graphic Design company giving me my unique, creative look in to fashion and beauty. I adore nail art, floral print & vintage style. The blog features a range of posts from outfits I want or am wearing at the moment to sharing my makeup and nail art designs. I have also started a set of posts to help give some advice and tips for improving your blogging called “Tecky Tuesday”. I feel I’m not your typical beauty blogger, I’m just a down to earth girl showing you my current loves and hates in fashion trends. I have a Youtube Channel that that I’m slowly posting on more and more regularly. I am also very active on twitter so keep a look out for me @letsstrikeapose. I’m still trying to get to grips with this Instagram thing so please follow me on that also. Since starting last year in August 2013 I have loved working with lots of different brands such as John Lewis, Fashion Union, WalG, Figgahugga, Aneley Cosmetics, ASOS, Manomai, Numero, Colgate, Medik8, Sugarhill Boutique, Lolo & Galago, Wishtrend, Skin Revival Laser Clinic,StyleLux & River and Roads. I am also an ASOS Insider. I am also in the process of starting a community forum so that we can get all the lovely beauty bloggers together in one place to chat, share ideas, reviews and find events. Thanks for visiting my beauty blog and I hope to see you around. Please leave comments on posts you love and enjoyed reading. If you ever want to get in touch please read my PR / Contact or if you want to see what press articles I’ve been talked about in read my press page!